The active adult community of Rancho Resort in Sahuarita is a newer community of single-story homes and is part of the larger master-planned community of Rancho Sahuarita, which was established in 2001. Rancho Resort is conveniently located just west of I-19 on West Sahuarita Road, only a few minutes from Sahuarita Town Center for shopping, dining and entertainment options. Pulte Home Company completed its second Oro Valley purchase this week and purchased the lots for the first phase of Saguaros Viejos. Pulte paid approximately $64,500 for each of the lots in the new community, which is in its first phase of build outs. Nestled in the foothills of the Catalina Mountains in Oro Valley is an active adult community that leaves little to be desired in the way of activities, amenities and mountain views. Sun City Oro Valley (SCOV), which is located within the master-planned Rancho Vistoso, is a beautiful neighborhood complex for adults ages 45 and older who want the independence of a single-family home with activities and amenities just outside the front door. Lennar Arizona closed on its purchase of 195 pre-platted lots in Preserve Twin Peaks located at Twin Peaks and Camino De Manana. 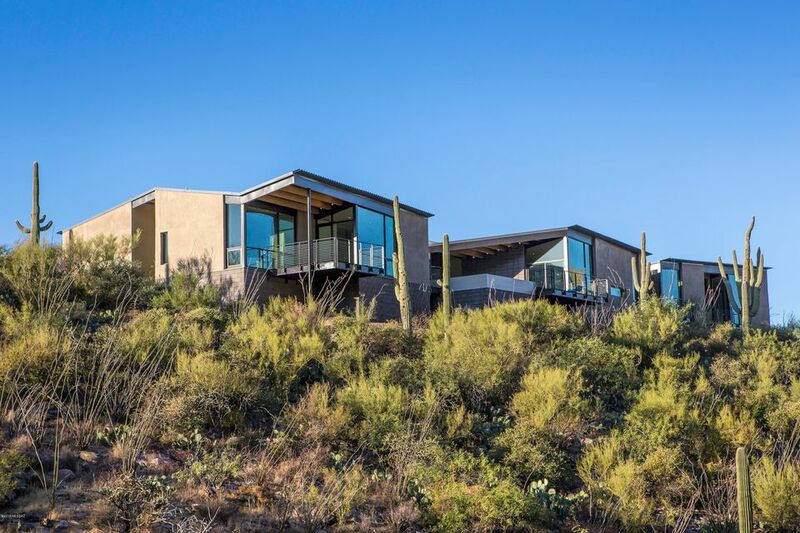 The deal, worth $6.7 million, is one of the largest single purchase of lots sold in the metro Tucson market in the last year, according to a recent report. The city has purchased the final parcel of land needed for the Broadway widening project to move forward this Spring, the plot of land occupied by Lerua’s Fine Mexican Food. Lerua's, which had been open since 1922, occupied a plot of land at the corner of East Broadway Boulevard and North Norris Avenue. Lerua's will officially close its doors Saturday, Feb. 2. The midtown Broadmoor (Broadway Village) neighborhood is one of central Tucson's older neighborhoods and encompasses one-quarter of a square mile. Bordered to the north by Broadway Boulevard, Broadmoor is conveniently located close to downtown, the University of Arizona, Reid Park and the El Con Center. The Arroyo Chico, an urban stream designed for flood control, runs through the center of the neighborhood. Market roundup: Tucson's residential stats for Nov. Looking to relocate to the Tucson area full time or just want to escape Winter weather elsewhere? Here's what Tucson's residential real estate market looked like in the month of November. It's not unusual for the real estate market to cool off in the Fall/Winter as the weather cools and holidays approach. 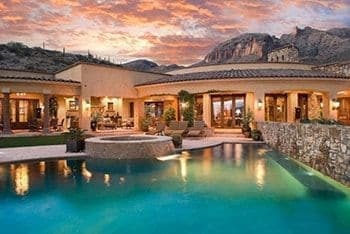 The Tucson market reflected that in November, with total sales volume dropping 8.6 percent to just shy of $294.3 million. However, year-over-year sales volume was up 5.31 percent. 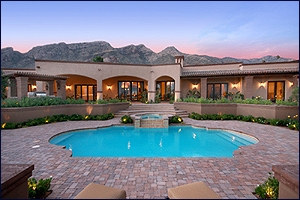 The Catalina Foothill's neighborhoods of Tucson, Arizona offer a wide variety of homes in a very wide price range. Generally, The Catalina Foothills is considered one of the nicest areas to live and/or own a home in all of greater-Tucson. The Catalina Foothills sits on the edge of The Santa Catalina mountain range, and is truly a great area own a home. The housing, demographics, employment, schools, and amenities are simply unparrelled! Each January, Tucson, Arizona boasts The Tucson Jazz Festival. This festival is a blast, and is one of many recreational activities found in the greater Tucson, AZ area. Needless to say, Winters are awesome in Tucson, AZ.! The weather is perfect everyday, and the town vibrates with exciting activities. Imagine yourself owning a great home in the Tucson, AZ area. It's fantastic! The Tucson Jazz Festival is two-weeks long (2019 dates are 1/11-1/21), the centerpiece of which is the free daylong Downtown Jazz Fiesta on MLK day featuring two outdoor stages and performances at multiple venues in downtown Tucson. Heritage Highlands is a gated, age-restricted golf course community north of Tucson in the quiet town of Marana. Located only 10 minutes from I-10, the beautiful Heritage Highlands neighborhood is a short 30 minutes north of downtown Tucson and equally convenient to Oro Valley. Phoenix is approximately 90 minutes to the north. INCREDIBLE, COMPLETELY REFRESHED Northwest Tucson Home coming soon. This home has been remodeled and updated to the highest standards. The original owner of this 2005 built home in Hartman Vistas has taken great care of this home, and decided to update it to 2019 standards before selling it. Tucson area homes offer an incomparable lifestyle at prices that will suit any budget. There are many fantasitic homes for sale in the greater-Tucson, Arizona area. Most folks take a home loan to purchase property. There are loans that offer 100% financing, FHA, VA, Portfolio (privately held), Conventional and Jumbo loans. All have slightly different parameters. Currently, renovation loans are available that allow a home buyer to purchase a fixer-upper or dated property, and bring it up to 2018 standards with one loan and one closing! This opens many doors for those interesed in Tucson, AZ area properties. Buying a property frequently takes obtaining a mortgage. There are many financing options available. Tucson, Arizona boasts many things, but the incredible ring of mountains around the valley is the best. Tucson sits near 2300 feet above sea level, and rises to Mt. Lemmon's summit of almost 9,200 ft above sea level. The changing topography and biomes is something to behold. 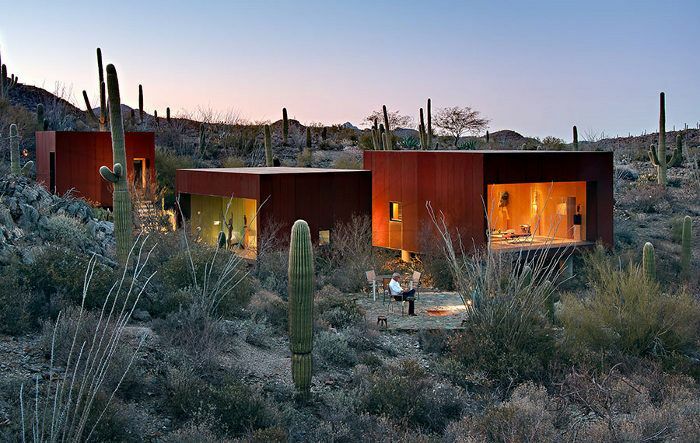 There are many great properties currently for sale in the greater-Tucson, AZ area. Situated along the rise to the top of Mount Lemon they differ in character, climate, plant & animal inhabitants and general vibe. Directly North of Tucson sits an old community that's grown over the years. It's an astoudingly beautiful area that offers a somewhat rural lifestyle 30 minutes from downtown Tucson. It's a town called Catalina, Arizona. Real estate opportunity abounds, lifestyle opportunity is spectacular for those looking for a bucolic lifestyle, and easy access to recreational activities, employment opportunities, reasonably priced housing, dining and entertainment, and places of worship abound. The Catalina Foothills area in Tucson sits on the edge of The Santa Catalina Mountain Range, and offers the best of everything. It's a suburban neighborhood located just North of Tucson, Arizona. "The Foothills" has many subdivsions, semi-custon, and custom homes within it. It's an area well-worth checking out. Dating back to the Fifties, Catalina Foothills offers a variety of homes in a great setting as well as upscale shopping, dining, entertainment, recreational activities and great schools. There's nothing quite like The Foothills for upscale living starting at quite reasonable home prices. Check out greater Tucson, Arizona and Southern, Arizona's Monthly Sales Statistics. July's lowering sales volume and slightly rising prices are partly due to a low housing inventory. The sales statistics are useful for market analysis. My website's Neighborhood Analyzer feature provides useful statistics about every area of town. I'd love to speak with you about Tucson-area real estate. Please don't hesitate to contact me.